Ashish Walia is the Co-Founder & COO at 500 Startups portfolio company, LawTrades. LawTrades aims to decentralise the traditional legal hiring process through providing an amazing marketplace of attorneys with domain experience in the startup world having worked with companies from the likes of YC, Techstars and 500. Ashish is also the Host of The Ashish Walia Show, a podcast dedicated to interviewing the latest and greatest world changing entrepreneurs, you can listen to Harry’s interview on The Ashish Walia Show here! 1.) I would love to kick off today’s show by hearing a little about your background and the origins of LawTrades? What was the a-ha moment for you? 2.) Was Ashish nervous leaving the security of the legal profession for the life of a tech founder? What would Ashish advise people who want to make the leap but are not sure if it is worth risking everything? 3.) The legal space is about a century behind the rest of the consumerised world of tech, why is there this divergence between the advancement of tech and the lacking progression of the legal space? 4.) How did Ashish come to raise funds from 500? What was the process and interview like? Why did Ashish choose 500 out of all the accelerators? What were the challenging and surprising elements of the fundraising journey? 6.) What would Ashish do differently if he was founding LawTrades again? What does Ashish wish he had been told before he became an entrepreneur? We would like to say a special thank you to our partner for this very special 500 Startups Feature Week, LawTrades, the go to place for startups and VCs to get their legal work done. For all 20VC listeners LawTrades are offering a special $150 off your first piece of legal work when you mention ‘The Twenty Minute VC’. You can follow them on Twitter here! Marvin is a Partner at 500 Startups, running the SF based accelerator program as well as investing in Seed stage start ups. Prior to 500 Marvin is a 10.5 year veteran of Yahoo! Inc., having held roles in various departments from Sales, Business Development, Ad Operations and Marketing and presently serves on the boards/advisory boards of several internet advertising and ad technology companies across the globe. 1.) How did Marvin make his move into technology and the investing game? 2.) How was Marvin’s time at Yahoo? How did Marvin see the company change over the 10 years he was there? How do you feel your position at Yahoo equipped you for 500 Startups? 3.) So coming from 10 years at Yahoo you could have had your pick of VCs to join. What was it about 500 that attracted you and why do you believe this very early stage is the biggest opportunity to exploit? 4.) 500 has now ironically invested in 1000+ startups, leading me to ask, what is the admissions process like and what Marvin’s criteria at 500 for investment decisions? What are the key metrics you look at? 5.) How does Marvin respond to the notion that investing with 500 Startups removes the talent of investing through the spray and pray method? 6.) Now 500 Startups has recently raises an new $85m fund, alongside a new fund of $30m for Japan, $10m for South East Asia and a $10m fund for Thailand. So firstly, does this prove that the 500 model is successfully scaling? What does the future hold for 500? Where do you see the most innovation and progress? As always you can follow Harry, The Twenty Minute VC, Marvin and 500 on Twitter here! For your chance to win a signed copy of Brad Feld’s amazing Venture Deals, all you have to do is click the click to tweet link here: http://ctt.ec/C61w6 and you will be entered into the competition. 1.) 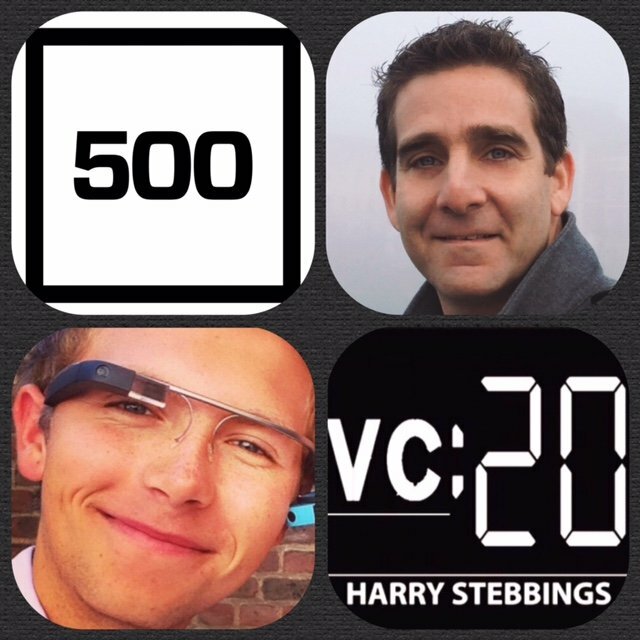 How Matt made his move from Paypal to VC with 500Startups? 2.) What is the mission at 500 in London with the Distro? What is the investment thesis? Preferred round? Sector? What process do you take the companies through when they are with you in the Dojo? 3.) What does growth hacking really mean? Is it not another BS new techie term? 4.) What has Matt found to be some of the most effective growth hacks and why? What are the biggest mistakes companies make with regards to growth? How can they avoid them? 5.) When does Matt think a company should start to focus on growth? 6.) Who does Matt personally admire and think has been extremely effective and why? What campaigns or pieces of work have led him to this conclusion? 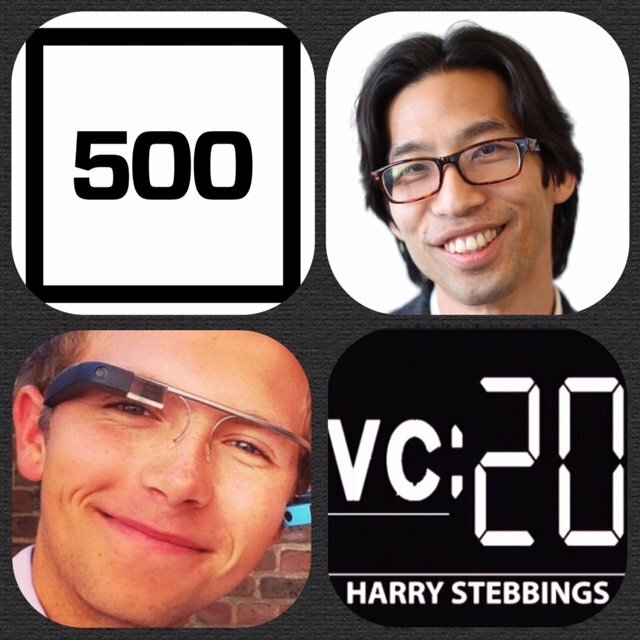 As always you can follow Harry, The Twenty Minute VC, Matt and 500 Startups on Twitter here! 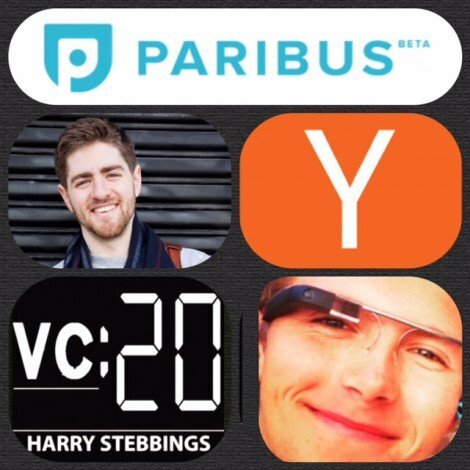 For the chance to win Brad Feld’s amazing book, Venture Deals, all you have to do is head on over to ProductHunt’s new podcast section and upvote this episode of The Twenty Minute VC if you enjoyed it, by clicking here! Joining us in the hotseat today is a young man who is insanely smart, he skipped 4 grades in school and graduated University at just 17, at which point he moved to the states on his own and within months was working alongside tech legends Kevin Rose and Jay Adelson at Digg. However, it was not long before he started his own company Kiip, a category-creating mobile rewards network that is redefining mobile advertising through an innovative platform that leverages “moments of achievement” in games and apps to simultaneously benefit users, developers and advertisers. 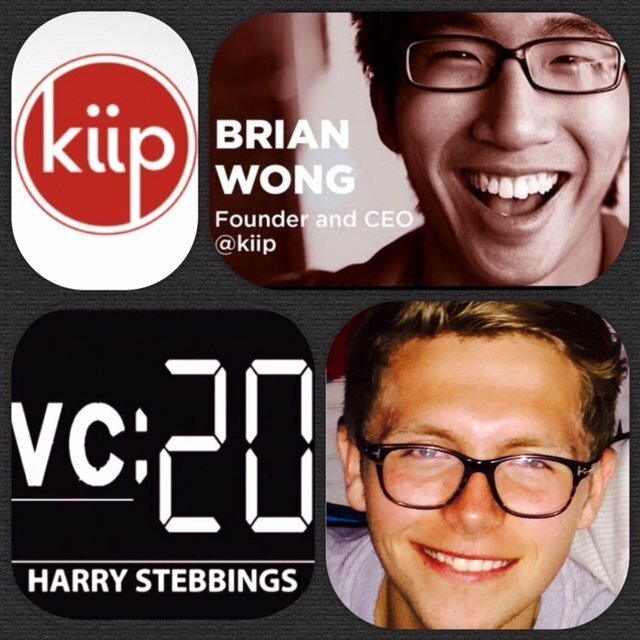 If you have not guessed it by now, shame on you, it is of course, the incredible Brian Wong, one of the youngest people to ever raise VC funding receiving investment from the likes of Hummer Winblad, previous guest at Transmedia Capital Chris Redlitz (Episode 26), True Ventures and many more. A huge thank you to our sponsors for today’s show, LawTrades, the marketplace that connects startups & VCs to awesome attorneys to get their legal work done at the best price! 1.) How did Brian start his career? What is the Brain Wong origin snapshot? 2.) What was it about Fred Wilson that made Brian most wanting to talk to him above all other VCs when he made the move to NY? 3.) What was it like working with amazing founders like Kevin Rose and Jay Adelson? What were Brian’s biggest takeaways from the experience? 4.) As a 19 year old, how difficult was it raising capital for your startup? Has it become harder raising further rounds from seed to series A to growth rounds? 5.) How have Brian’s board of directors helped or hindered along the Kiip journey? How do experienced executives respond to working with such a young CEO and does age make it difficult to retain top talent? 6.) With the evolution of technology and progression of time, how are Kiip addressing the growing competitive market and how are you navigating Kiip into new social media channels? Weston Gaddy is a Senior Principal at Bain Capital Ventures where he focuses on investments in early-stage companies and assists the portfolio operations group. Weston is also a YC alum with Frogmetrics, a handheld survey device company, he co-founded in college and received funding from Founders Fund, Y Combinator and Alexis Ohanian at Reddit. Outisde of the tech and VC world Weston was a Weston worked as a strategy consultant for media, financial service, and consumer product clients at Bain & Company in New York. 1.) How did Weston make his way into the technology and VC? 2.) What was Weston’s biggest takeaway from the YC experience? Has the experience impacted his investing strategy? 3.) Why is the world of branding changing from dominant players using traditional mainstream channels to a more open opportunity for startups to connect with consumers? What is changing? 4.) On the topic of brand loyalty how brands create brand loyalty in the fickle generation of young millenials often with a mercenary outlook? 5.) What sectors have most opportunity to exploit this revolution in branding? Why do you say those sectors? Have you based any of your investments around these assumptions? 6.) How important is it for VCs to specialize and have superb sector knowledge in something? 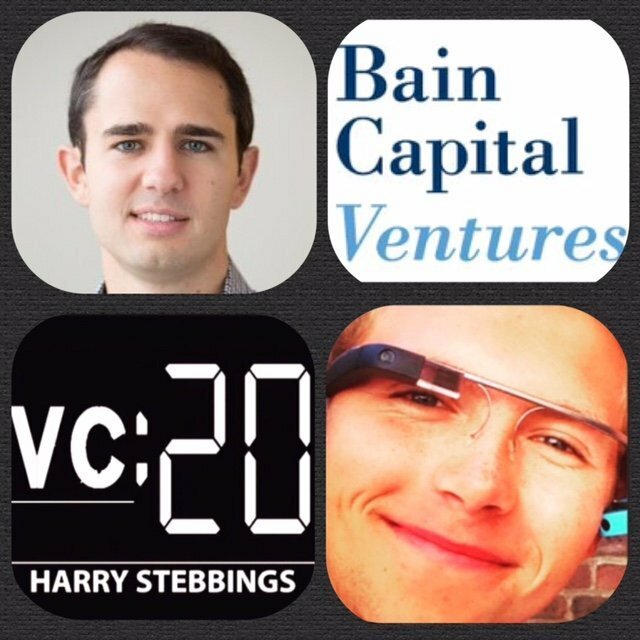 As always you can follow Harry, The Twenty Minute VC and Weston on Twitter here! Patricia Nakache is General Partner at Trinity Ventures where she focuses on funding companies launching innovative online consumer and business services. Her portfolio of past investments is just astonishing with the likes of LoopNet and Care.com IPOing, PayScale being acquired by Warburg Pincus, Uptake being acquired by Groupon and many more. To be entered into the competition to win a signed copy of Brad Feld’s legendary Venture Deals, all you have to do is click here and upvote this episode on ProductHunt and you will be automatically entered into the competition. 1.) How did Patricia get into the technology industry and then later make her transition into the world of Venture Capital? 2.) A recent study has shown that the total number of female partners has fallen from 10% to 6% in the time that you have been at Trinity. Why is there this gender misrepresentation and what can be done to improve female equality in the VC industry? 3.) Sheila has invested in some incredible female entrepreneurs such as Sheila Marcelo at Care.com, Illana Stern at Weddington Way and Anna Zornosa at Ruby Ribbon? What excited Patricia about these entrepreneurs and what can female entrepreneurs do to increase their chances of funding? 4.) With the increasing amount of capital available, VCs face greater competition between firms, what can VCs bring to the table to beat the competition? 5.) What elements of the on demand economy face danger in the coming years in a similar way to Homejoy? 5.) Which sector is Patricia most excited about and why? 6.) Why has there been a resurgence in the marketplace model particularly in ecommerce? What are the drivers of this change? 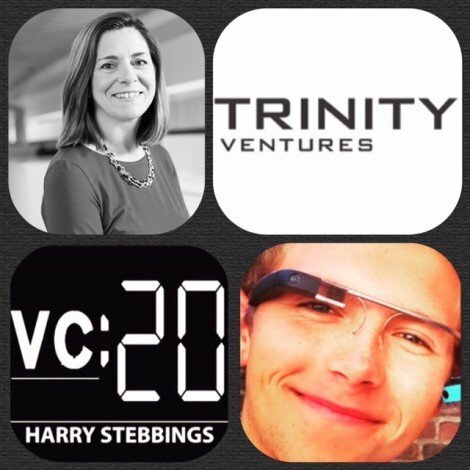 As always you can follow Harry, The Twenty Minute VC and Patricia on Twitter here! If you would like to see a more colourful side to Harry with many a mojito session you can follow Harry on Instagram here! Kuan Huang, is the Founder of Poncho an internally built company at Betaworks. A simpler weather service with a personality, delivered to you every day. Prior to creating Poncho, Kuan was a Hacker in residence at Betaworks and as he describes the luckiest engineer at Hatch Labs a mobile focused startup incubator funded by IAC. I would like to direct your attention to one of Betaworks investments on the west coast in the amazing ProductHunt, and you must check out ProductHunt’s new podcast section, which is the best discovery platform for finding new and amazing podcast episodes! 1.) 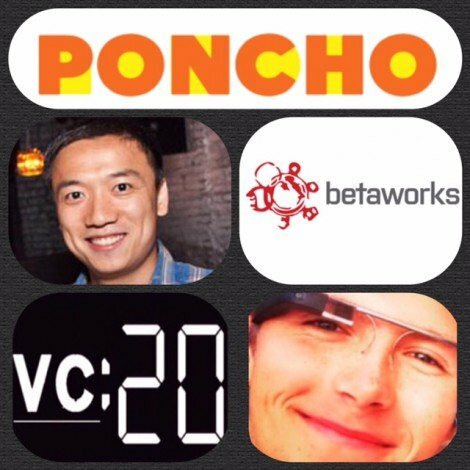 How did Kuan get into the world of Betaworks and what was Kuan’s aha moment for Poncho? 2.) What was wrong with weather apps when Kuan started Poncho? What made Kuan think there was a gap in the market? 3.) Kuan said in an interview with TechCrunch “The core objective is to have Poncho become a default part of your routine,” How has Kuan gone about to ensure that there are habit forming functions in poncho? What makes the user come back? Does Kuan prefer mass market testing or niche 100 person testing? 4.) What role does Betaworks play in the development of Poncho? 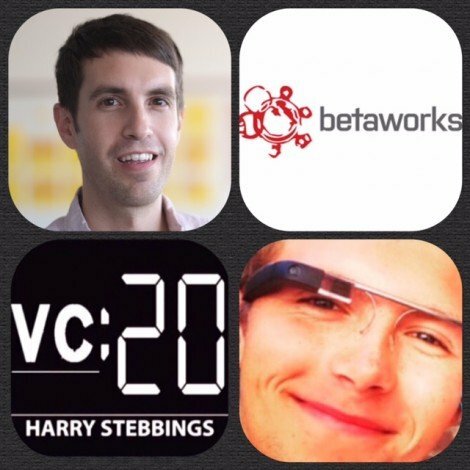 What are the main value adds of being a Betaworks company? 5.) Looking back at the Poncho journey so far, what were the breakthrough moments where progress was really made? What were the most challenging elements and how did Kuan overcome them? 6.) What would Kuan advise a founder looking to work with Betaworks? Is there anything they can do to increase their chances of a collaboration? As always you can follow Harry, The Twenty Minute VC and Kuan on Twitter here! Peter Rojas is an entrepreneur-in-residence at betaworks focusing on early stage investments. Prior to joining betaworks he was VP of Strategy at AOL. He also co-founded several startups, including Weblogs Inc (with previous guest Jason Calacanis) (acquired by AOL in 2005), where he created tech sites Engadget and Joystiq; he also created gdgt, a social commerce platform (acquired by AOL in 2013); and gadget blog Gizmodo (now part of Gawker Media). Previously Rojas worked as an editor at the original Red Herring, a columnist on emerging technology for The Guardian, a contributor to Wired, The New York Times, Fortune, Money, and many more. One of Betaworks investments on the west coast is the amazing ProductHunt, and you must check out ProductHunt’s new podcast section, which is the best discovery platform for finding new and amazing podcast episodes! Also, would you like the chance to win a signed copy of Venture Deals by Brad Feld? 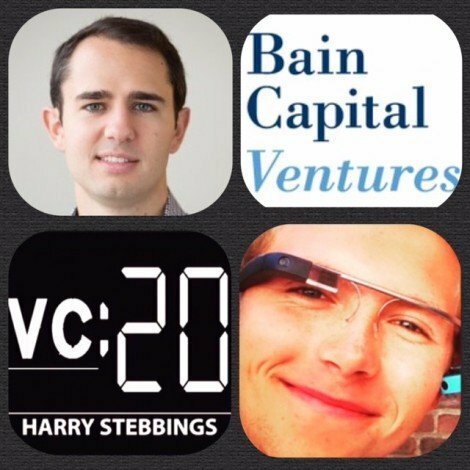 All you have to do is leave a review on iTunes and then email harry@thetwentyminutevc.com with the name that you left the review under! 1.) From tech blogger and entrepreneur to founding Engadget, and then a product person and now at Betaworks. Peter gives a snapshot of his career so far? 2.) What is Peter doing on the West Coast when Betaworks is based in NYC? How do you compare the two technology environments and ecosystems? 3.) What is involved in being EIR at Betaworks? Why has this position become so popular over the last few years? 4.) How does Peter and Betaworks approach the changing world of seed and as I have seen recently, pre seed investments? Do you have any set metrics that you stick to? What KPIs are always the first ones you look at? 5.) What VCs does Peter admire and look to emulate? 6.) What has Peter learnt from his 1st month in venture? What has been the biggest surprises and challenges about the industry? If you would like to see a more colourful side of Harry with many a mojito session, you can follow him on Instagram here! 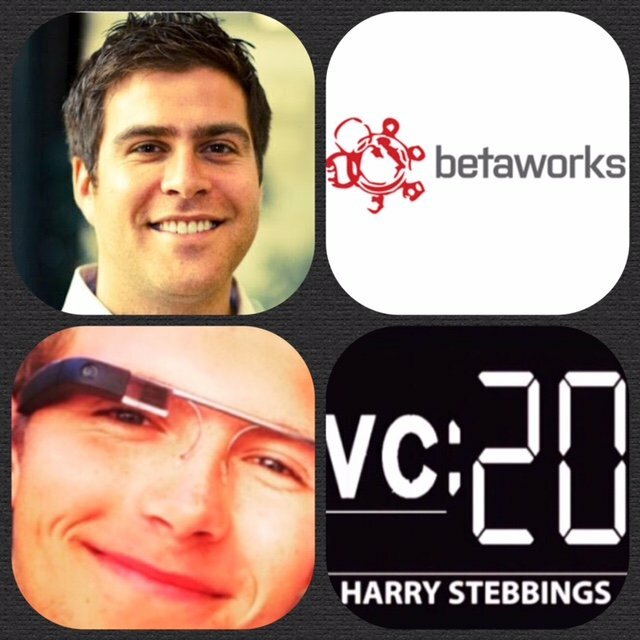 Matt Hartman is director of seed investments at betaworks. Prior to joining betaworks, he was co-founder of ReferBoost, a profitable b2b company in the real estate and social media space, and JustBecause, a mobile app used by Uber, Birchbox, Jackthreads, and other e-commerce companies for customer acquisition. He started his career building the technology platform for Trammell Crow Company (acquired by CBRE) before joining Hot Potato (acquired by Facebook). In this interview with Matt we talk about one of Betaworks investments in ProductHunt and I would love to direct you all to go check out ProductHunt’s new podcast section, it’s the best way to find new and amazing podcast episodes, check it out! To win a signed copy of Venture Deals by Brad Feld? All you have to do is leave a review on iTunes and then email harry@thetwentyminutevc.com with the name that you left the review under! 1.) How you has Matt ended up at the amazing Betaworks, what was his career pre-Betaworks? 2.) How does Matt define betaworks and his role in particular in the Betaworks organisation? What makes this model the most effective and successful in Matt’s view? 3.) How does Matt believe the structure of social networks alters user behavior and therefore impacts distribution? How do social networks include habit forming behaviours to ensure user retention on their networks? 4.) What does Matt think makes a strong community? What was it about ProductHunt that signaled to you this was the beginning of a rapidly growing community? 5.) With Betaworks investment in Gimlet Media, how does Matt see the future of podcasting? Does investing in Gimlet not break the rule that it has to be a potentially $bn exit? 6.) Question from Ryan Hoover, Founder at ProductHunt: ‘What product or app has impressed Matt the most in the past year and what really gets Matt excited when trying new products both as an investor and as a user’? 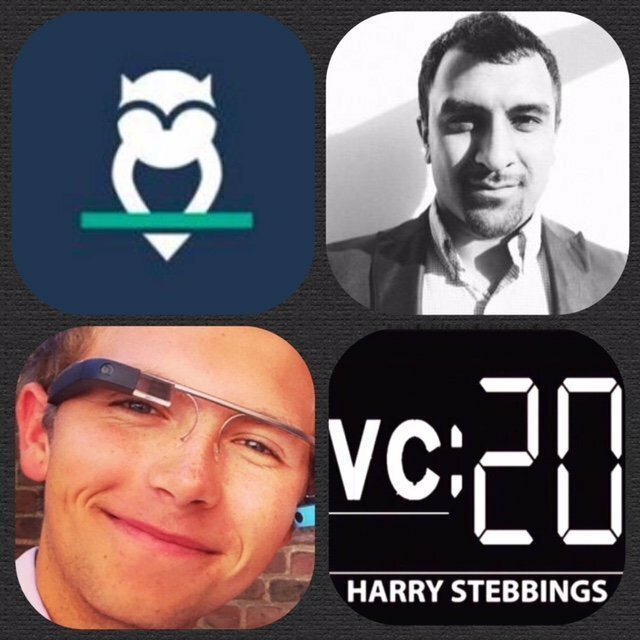 As always you can follow Harry, The Twenty Minute VC and Matt on Twitter here! Chad Fowler is the CTO at 6Wunderkinder (acquired by Microsoft), the company behind the wildly successful Wunderlist, previously cited by Michael Treskow and Mattias Ljungman on the show as their must have productivity app. Prior to 6Wunderkinder, Chad was the Senior VP of technology of the daily deals site, Living Social and before that we was CTO at InfoEther, a Ruby and Ruby-On-Rails consultancy firm. Fowler is also the host and organiser of numerous tech conferences and wrote “The Passionate Programmer”, a career guide for software developers. 1.) Where did it all begin for Chad and how did he make the move from his musician dreams to CTO of tech startups? 2.) As an American, working in Europe, how does Europe’s tech community compare to the US? 3.) 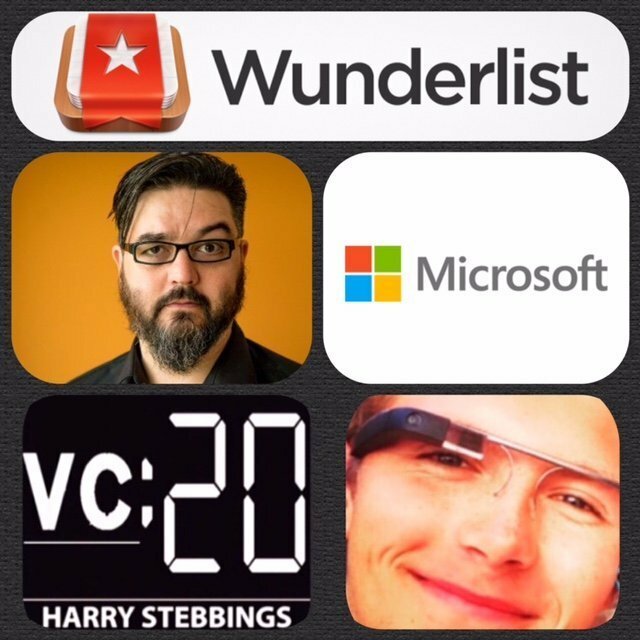 Wunderlist was the App of the Year, what does Chad believes makes it so special? 4.) Is there more to go in improving the consumer feel of enterprise software? 5.) How did Chad go about creating a product with such habit forming ability? 6.) Question from Carolina Brochado @ Atomico: What is it like moving from a small manned startup to a giant corporation like Microsoft? Kamal Ravikant is an absolute hero to me after I read his incredible best selling book, Love Yourself Like Like Your Life Depends On It. As for an intro to Kamal, it goes without saying that he has worked with some of the best people in Silicon Valley and is a true tech and investing icon, but he has also trekked to one of the highest base camps in the Himalayas, meditated with Tibetan monks in the Dalai Lama’s monastery, held the hands of dying patients, earned a US Army Infantry patch, walked 550 miles across Spain, been the only non-black, non-woman member of the Black Women’s writers’ group and written books including my favourite the previously mentioned, Love Yourself Like Your Life Depends On It. 1.) Where does Kamal see the future of Venture Capital? 2.) What worries Kamal about the tech scene? 3.) How does Kamal sort the wood from the trees in the frothy market of tech startups? 4.) What are Kamal’s must read books and blogs? 5.) Which leaders or figures is Kamal inspired by and why? 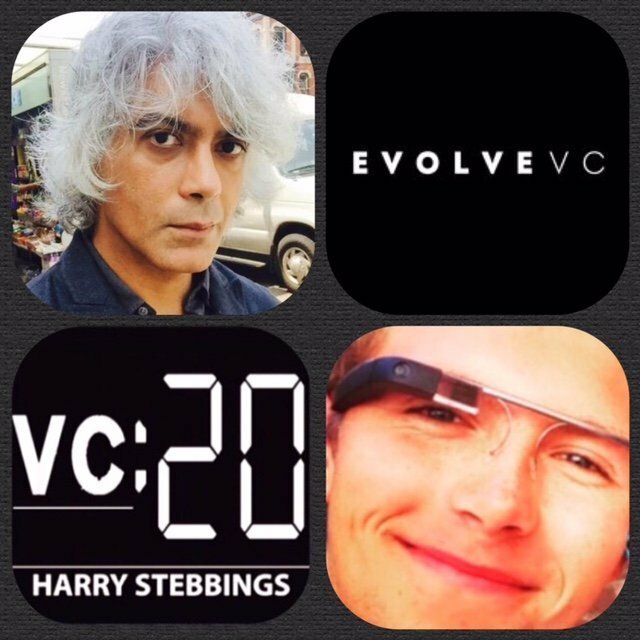 As always you can follow Harry, The Twenty Minute VC and Kamal on Twitter here! 1.) How did Kamal make his way into the world of Venture Capital? 2.) What were Kamal’s biggest takeaways from working as an entrepreneur? 3.) What really makes a great VC? How can VCs provide true and genuine value add? 4.) Why is now the best time to be an entrepreneur? What has changed? 5.) What would Kamal advise an entrepreneur looking to build a startup? Eric Glyman, Co-Founder and CEO @ Paribus (Y Combinator S15), the service which scans your inbox for receipts and automatically saves you money when the items you bought drop in price. Stores often guarantee that you will get the lowest prices. But they don’t follow through unless you work for it. Paribus does the work for you. 1.) What was Eric’s career before Paribus and what was his a-ha moment was for the idea? 2.) How did Eric do things differently from the typical startup? Was this effective or would it have been more productive to go full in? 3.) What were Paribus’ testing hypotheses like? Does Eric prefer mass market testing or niche 100 person testing? 4.) How was the admissions process for YC, why did Eric choose YC and why were YC attracted to Paribus? 5.) What would Eric advise founders looking to get into YC? Is there anything they can do or know that will increase their chances of getting into YC? 6.) What were the breakthrough moments for Paribus? What were the most challenging elements and how did Eric overcome them? As always you can follow Harry, The Twenty Minute VC, Eric and Paribus on Twitter here! If you would like to see a more colourful side to Harry with many a mojito session, follow Harry on Instagram here!